Pictured above is a beautiful screened in porch that we recently installed. 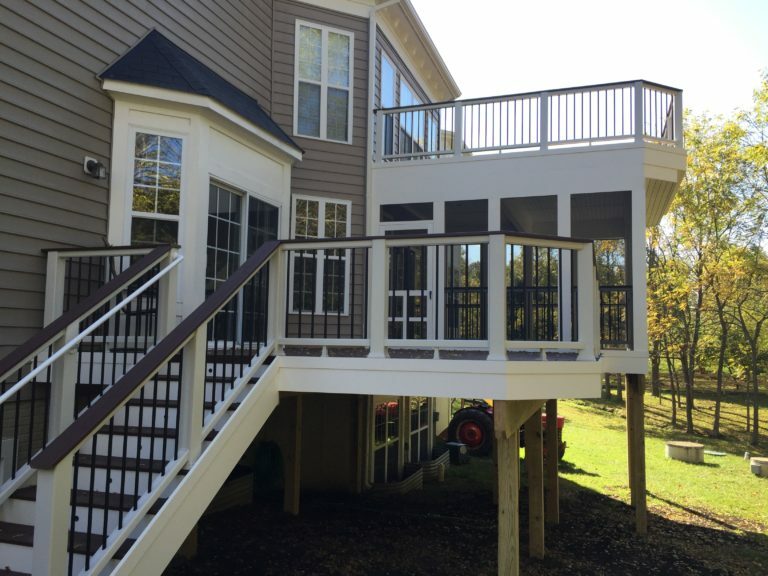 This screened in porch was put on a hybrid deck, meaning that the project had both composite and pressure treated material. These types of projects typically start at $25,000. Contact us for a free estimate on screened in porches.